The YFCC School holiday program ran from the 17th to the 31st of January with approximately 50 young people participating. 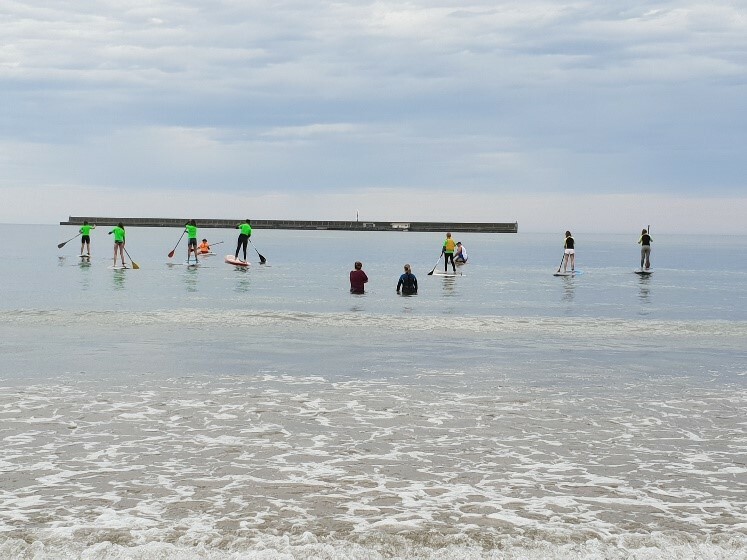 Firstly, we kicked off with learn to surf and stand up paddle boarding at the Burnie Yacht Club. A huge thanks to Sea Lyons Surf School and WhatSUP for taking the time to show our participants (and some staff) the fun that can be had in our local waters. We then moved on to the Burnie Bowls club for a try at bare foot bowls. It’s not as easy as it looks to get the balls as close to the white one… our resident champion was Miguel; well done. Our final activity for the holiday program involved Axel from the Devonport City Council running some indoor sports. Running, catching and dodging were on the cards for the day’s adventure. A friendly game of dodgeball to finish off the day was a great way to bring the group together with a bit of rivalry. Thanks to everyone who helped out and participated on the days.